68000 was the best CISC microprocessor design. 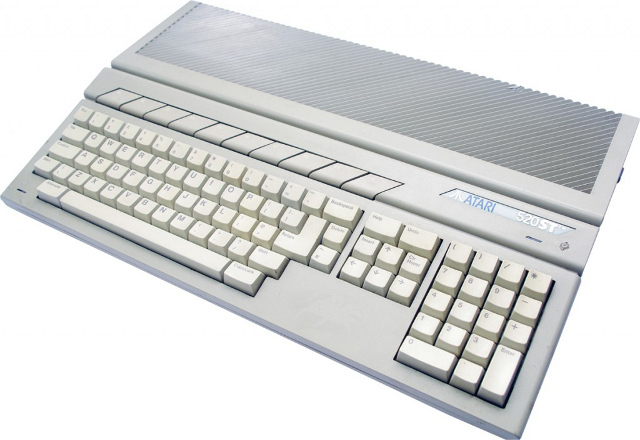 Architecturally, 68000 was a 32-bit CPU, as its registers were 32-bits (though data bus was 16-bits). Although a CISC microprocessor, its instruction set was well-designed, lucid, practical. Instruction set was "orthogonal" as all addressing modes were available in most instructions. Memory model was 32-bit directly-addressed. 68000 had a 24-bit (16MB) physical address space. Privilege level model was simple. Difference in supervisor mode was a supervisor SP and access to interrupt controls. As 68000 architecture was designed right from its beginning, it didn't change fundamentally across generations (68000, 68020, 68030, 68040, 68060). 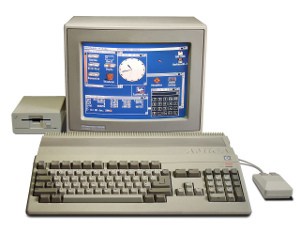 Amiga with its AmigaOS was far ahead of its time in ~1985. A 32-bit system with an iconic GUI and preemptive multi-tasking capabilities didn't appear until IBM released OS/2 2.0 in ~1992. 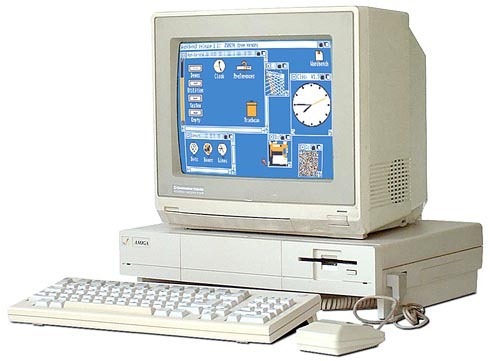 AmigaOS had unique ability to run programs behind its desktop, then user pulled down desktop. Window manipulation may seem strange, as windows were pushed behind others or one was popped to top. Amigas were used to generate computer graphics of early episodes of sci-fi TV show Babylon 5. "ST" meant "Sixteen Thirty-Two", a reference to its 68000's 16/32-bit data bus and register sizes. ST was developed very quickly, in ~6 months, using some off-the-shelf parts, including "GEM" GUI. 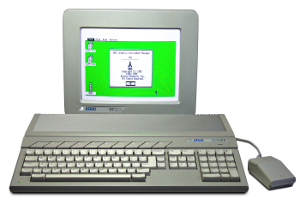 ST was the most advanced personal computer when it was released (Amiga was released after) and irrefutably was superior to that fruit company's toy. 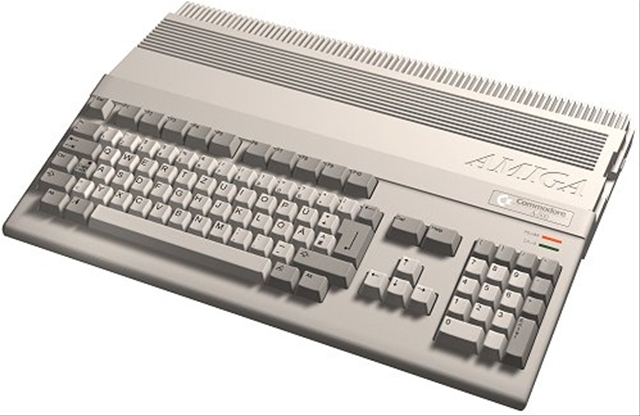 Amiga and Atari ST were the most advanced personal computers in 1985, in a class by themselves. Both were greatly superior over IBM PC or that fruit company's monochrome toy. Multi-tasking was a desired feature in 1980s. AmigaOS could preemptively multi-task. ST's TOS couldn't. 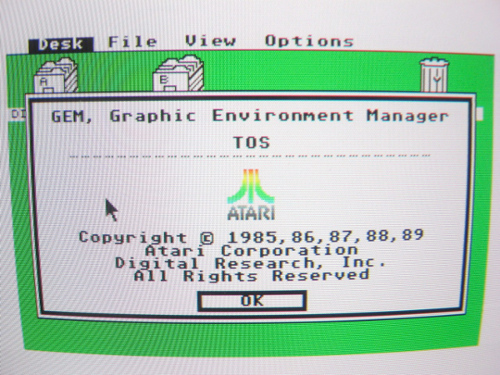 Atari ST's GEM was basic compared to AmigaOS. GEM desktop didn't have much functionality. GEM's text/fonts and motifs were somewhat more readable. Amiga was definitely superior for games and graphics. Amiga games show more colors than ST games. ST games don't show color gradients and the reason was that ST's most colorful mode had only 16 colors from a 512 palette. 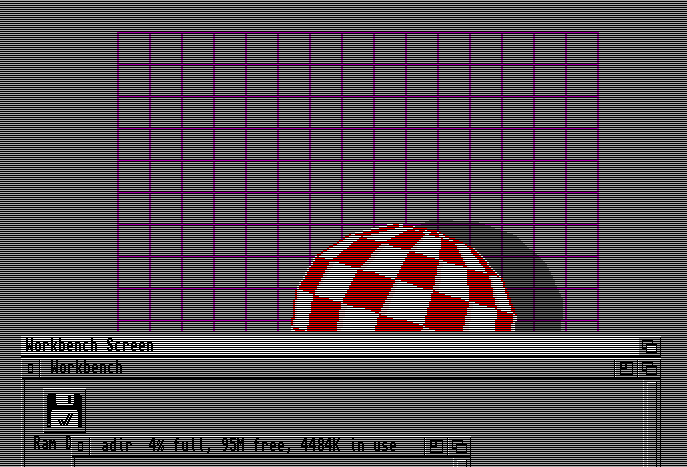 Amiga's most colorful mode had 32 colors from a 4096 palette. Difference between 16 and 32 colors was significant. 32 colors was barely enough to make colorful games with some gradients. 16 colors was insufficient, as was also demonstrated by PC games that used EGA mode (16 color). Later Atari STE ("Enhanced") had a blitter and an extended palette, but later Amigas had AGA with 256 colors out of a 256K palette (on par with IBM VGA). Atari ST had some advantages. ST ran at 8.0 Mhz vs 7.16 Mhz. ST's monitor didn't flicker at high resolution. The bottom-line advantage: 520ST cost $799, Amiga 1000 cost $1300.